Korbinian Brodmann was a German neurologist. He was born in 1868, died in 1918, and was one of the explorers who attempted to map the continent of the brain. He is famous for having divided the cerebral cortex (the folded sheet of tissue at the surface of the brain) into 52 distinct areas on the basis of their cytoarchitectonic characteristics, which simply means the ways that the various types of neurons that compose the layers of the cortex are organized. Brodmann’s intuition, which has been proven correct many times since, was that the organization of the cortex into anatomical areas was in fact related to its functional activities. For instance, some of the six layers of the cortex are thicker in its sensory areas. One example is Brodmann area 17—the primary visual cortex—which receives axons from the lateral geniculate nucleus of the thalamus, which in turns receives its inputs from the retina. Another example is Brodmann area 4, which comprises the primary motor cortex of the brain and from which the axons of the giant pyramidal cell layer project to the motor neurons of the spinal cord. 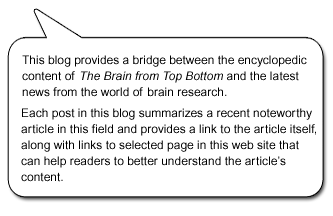 It is not always easy to find precise information about the other Brodmann areas, which is why the diagram of all 52 Brodmann areas on the web page to which a link is provided below is so valuable. Although that web page itself is in French, if you click on the number for any one of of these areas, you will go to a Wikipedia page describing that area in English. Each page includes an image showing the area’s location in the brain, along with a lot of information about that area’s various properties (boundaries, functions, effects of a lesion in this area, etc.). In short, this page is very helpful to keep on hand, because the Brodmann areas still constitute a useful reference on locations in the brain.